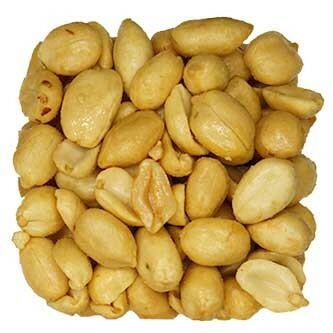 Our Roasted Salted Blanched Peanuts are not just a bar staple, but a healthy snack! Peanuts are loaded with essential vitamins and nutrients, and research shows they help manage weight, high cholesterol, and support a healthy immune system. Our Roasted Salted Blanched Peanuts pack a lot of energy and nutrition in just one serving, making them a great snack for a healthy lifestyle. A handful of these nuts a day, along with a healthy diet, can help manage weight, cardiovascular disease, high cholesterol, and much more. • Like this mix? Try our Roasted Unsalted Peanuts! For most of us, peanuts have been a part of our lives in one way or another, whether it is at a ballgame, peanut butter or in some type dessert. You can always count on peanuts as a great snack with a powerful nutritional punch. HIGH PROTEIN: Peanuts have always been a great reliable source of high protein; there is quite a nutritional punch for a handful of peanuts. Their high-protein levels and delightful flavor make them commonly used for different vegetarian, vegan and raw food dishes. In moderation, peanuts can support weight loss as the high protein and fat levels support satiety. 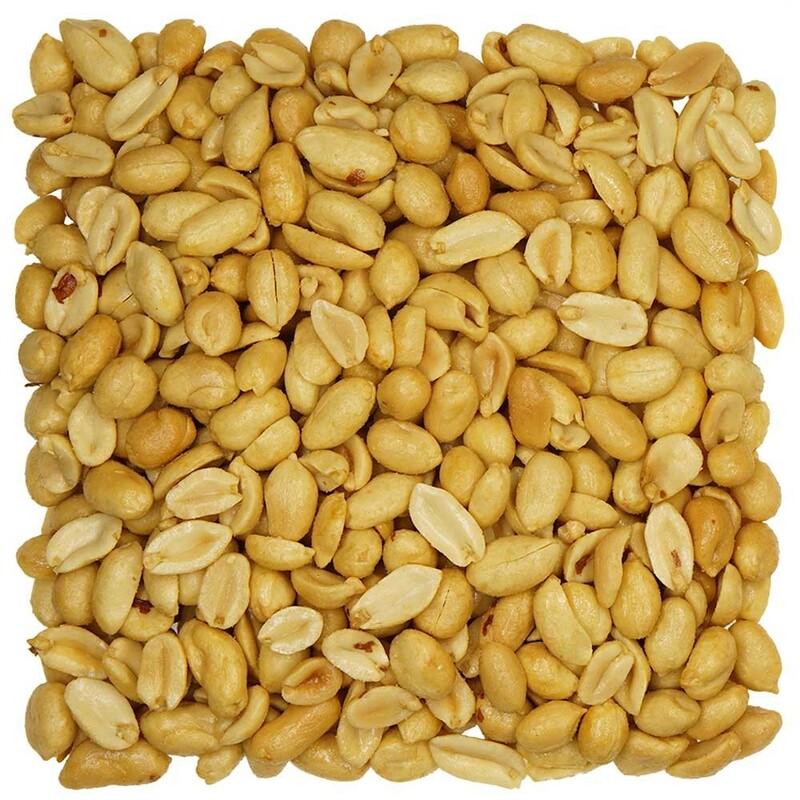 HEART HEALTHY FAT: Peanuts have high levels of fat, but they are the unsaturated fats. These fats support weight loss; they are the good fats that our bodies need. The ratio of fat and protein also makes peanuts a great source of energy for sports. 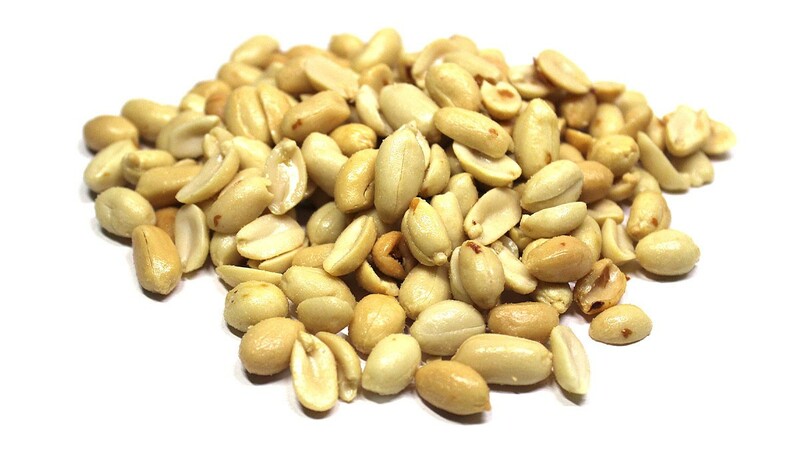 BIOTIN SOURCE: Just 1/2 cup of peanuts has more than twice the daily requirement for Biotin. One of the impacts of biotin is that it helps support strong hair and nails. It is also necessary for proper functioning of the metabolism. Like with most nuts, there are so many myths like that nuts cause weight gain, have high levels of fat, and several others. Although peanuts calorically dense, when eaten in moderation and added to an already healthy diet they have proven to help with weight loss, heart disease, cholesterol, and simply are a great source of nutrition with an array of minerals and vitamins.